Kazakhstan's parliament on Wednesday voted to rename the country's capital in honour of long-time ruler Nursultan Nazarbayev, a day after he resigned as president. "Astana is now officially renamed Nursultan," the state-owned Kazinform news agency said after a parliamentary vote. Kazakhstan's new interim president Kassym-Jomart Tokayev proposed renaming the capital after he was sworn in following Nazarbayev's shock resignation on Tuesday. In his first official act, Tokayev asked that Astana -- the gleaming new capital Nazarbayev erected in the country's vast steppes -- be renamed "Nursultan" -- which means "Sultan of Light" in Kazakh and other Turkic languages. Astana, the government's showpiece project on the Ishim river in northern Kazakhstan, took over as the capital more than 20 years ago. It replaced Kazakhstan's largest city Almaty as the capital in 1997 and was transformed from a minor provincial town into a futuristic city. Its name meant "capital" in Kazakh and there had long been speculation it could at some point be renamed after the leader who shaped it. As Tselinograd -- the name from the 1960s to the 1990s -- the city was at the heart of Soviet leader Nikita Khrushchev's campaign to cultivate the country's vast steppes. 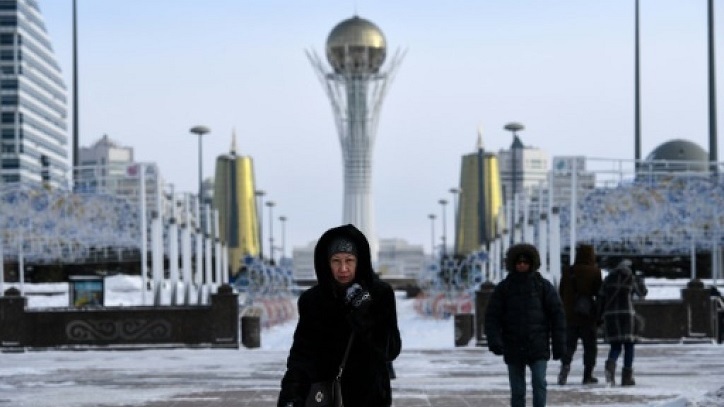 The city is central to government propaganda highlighting the achievements of Nazarbayev's reign and his journey to build it was recently the subject of a state-funded film, Leader's Path: Astana. Last year, Kazakh Ambassador to Britain Erlan Idrissov wrote a prickly letter to the Financial Times newspaper, denouncing an article that had referred to the capital as a "bizarre" and "hastily built" vanity project. Kazakhs were "immensely proud of this extraordinary achievement, led by President Nursultan Nazarbayev," he wrote in a letter published by the newspaper. Early Wednesday evening, the municipality's website had yet to respond to the name change.